The plot focuses primarily on two young characters and chronicles the birth of the Dolphincrafthall and its first Dolphineer. Readis, the Paradise River Lord Holder's son, is saved by talking dolphins ("shipfish") as a young boy after falling into the sea and subsequently develops a strong fascination with the dolphins. T'lion, the young Eastern Weyr dragonrider of Bronze Gadareth, also develops an interest after being involved in an early dolphin encounter. The two befriend each other due to their shared interest and, in their own ways, defy family, Hold and Weyr to maintain their friendships with dolphins and convince others of the dolphins' intelligence and ability to speak. While familiar characters struggle to end the era of Thread, Readis, T'lion and others struggle to begin a new era in which dolphin and human work together again. 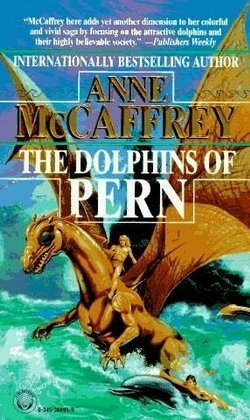 This novel follows Dragonsdawn and the short story The Dolphin's Bell (a short story contained in The Chronicles of Pern: First Fall) by discussing the present state (Ninth Pass) of the dolphins that were brought to Pern by the colonists. Set near the end and after the events of All the Weyrs of Pern it further integrates the science fiction aspects of the origins of the Pern series with the fantastical aspects presented by the original books.